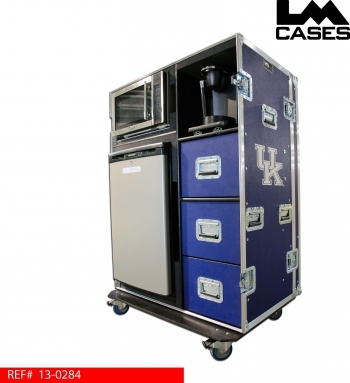 This amenities trunk was built for the University Of Kentucky. 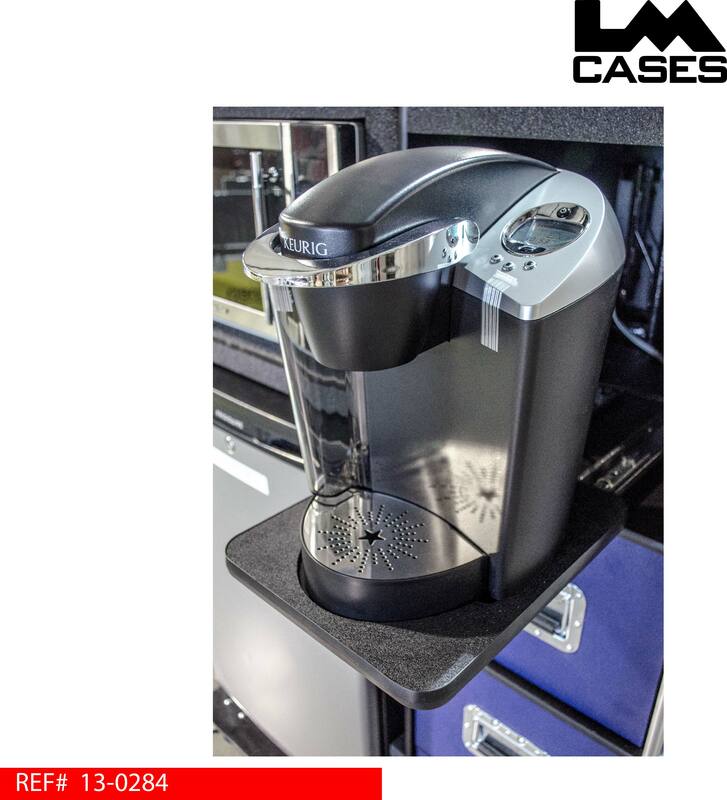 The trunk holds a refrigerator, microwave and Keurig coffee maker as well as 3 storage drawers. The storage drawers are built out of 1/2" Baltic Birch plywood and mounted on HD Accuride drawer glides. Each drawer is finished with black textured coating to provide a durable, wipe-able finish. 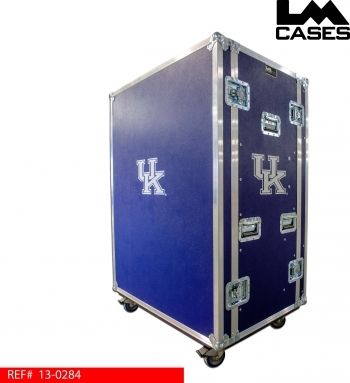 The exterior case is built out of 3/8" plywood laminated in dark blue ABS plastic and features 4" Colson casters, deep recessed handles, pad-lockable hasp latches and a custom silkscreen of the school's logo. 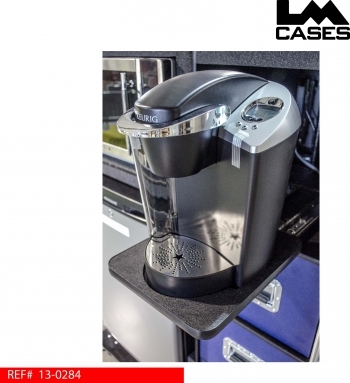 All appliances were spec'd and installed by LM Cases' in house Custom Integration department. Special thanks to the University Of Kentucky!